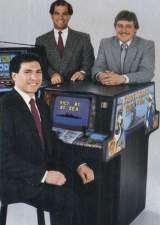 Arcade Video Game published 32 years ago by SMS Mfg. Victory at Sea © 1987 SMS Mfg. Corp.